What is it that makes some toys or gifts more special than others? For kids, it can be because they were given by someone they are close to, or something which marked a special occasion, or because it was given as a reward for an accomplishment. 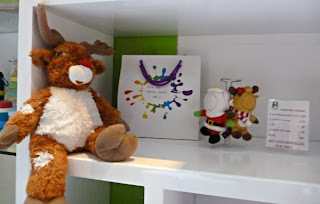 I have recently been introduced to another way in which you can make toys for your children extra special - by personalising them! I was invited to visit a concept store called Big On Children in Dubai Mall, and was surprised by the dozens of options they provide for personalised items. The company has just celebrated a year of launching and provides items such as alarm clocks which sing your child's name, teddy bears that sing a lullaby to them, 'Little Me' plush toys which have a 3D image of your child's face, and much more. The items can be personalised in ten different languages. They already have a database of 40,000 names but don't worry if your child's name isn't available. They have a list in which they keep adding new names and are currently updating their products to reflect names of the many nationalities in the UAE. Big On Children is also the exclusive distributor for Bandette, Bandle and Toothband products, which allow you to write your child's name on feeding bottles, sippy cups and toothbrushes. 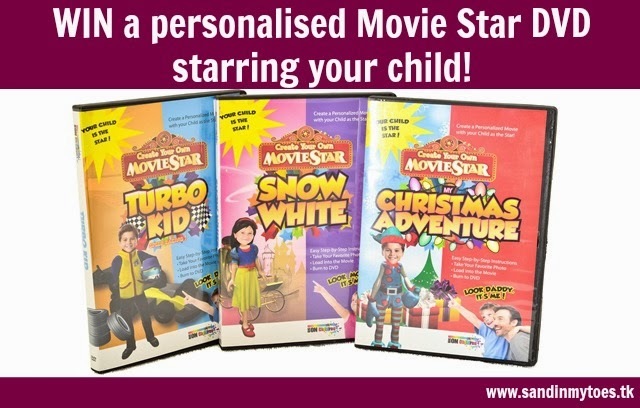 One of their popular products is the movie DVD which is a personalised film featuring your child (more on this product below). Little Dude had a go at this and was fascinated by seeing himself on TV! Little Dude watches himself in a movie! 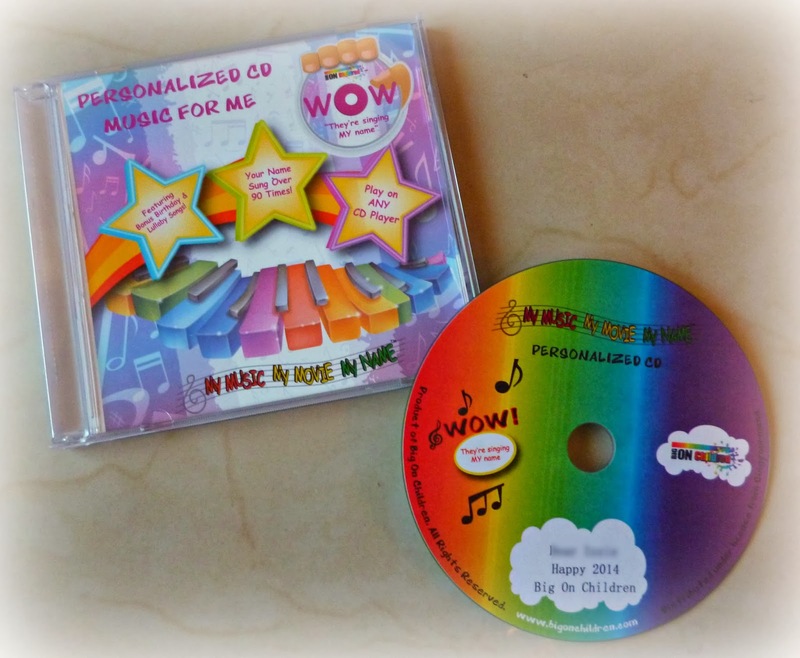 Another product which caught my (and Little Dude's) attention was the 'Music for Me' personalised audio CD which I am reviewing for you in detail. I think this CD is most suited for children from toddlers up to 4 or 5 years old, who will appreciate the peppy music and will be delighted to hear their name sung over and over! This CD has 12 tracks which are personalised with my son's name. The songs include a birthday song and a lullaby. The most peppy song in the CD is Wake Up, which Little Dude loved the most. He also responded well to the song That's Your Name! For a child, it seems like the singer is addressing them, and that's why they will love listening to the music. I personally liked the track When You Grow Up. Babies and toddlers will like the tunes and listening to their name, which at their age, they love hearing! Older children will feel special listening to these songs. In fact, I've been getting requests to play the CD from Little Dude at least once a day! One of the best qualities of this CD is that the name doesn't sound like it has been 'pasted' into the song. Each of them has been sung individually, so the effect comes across as smooth and continuous. The 'Music for Me CD' costs AED 95 and will also make a great gift. Apart from this version, there are also other versions such as Let’s Play and Learn, Animal Love Me, and a Christmas music CD. The music CD is available in ten languages - Arabic, Khaleeji (gulf Arabic dialect), English, French, Spanish, German, Italian, Portuguese, Japanese and Greek. You can visit the Big On Children store in Dubai Mall (Level 2). Their products are also available at Hamleys in Dubai Mall, and Toy Store in Mall of Emirates and Dubai Mall. They also have an overseas store in FAO Schwarz, New York City. Visit their Facebook page for more details. Here's your chance to win a personalised Movie Star DVD by Big On Children, worth AED 130! 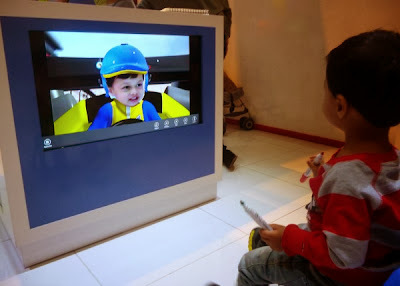 Children can have their own faces personalised into the main character of a movie. It is available in four popular DVD titles, including Little Mermaid, Snow White, Amazing Kid, and Turbo Kid. Personalised DVDs are available in Arabic and English in addition to French, German, Spanish and Greek. 1. Fill in your first and last name, and email address in the form below. 2. Answering the simple question below is mandatory if you want to participate in this contest. 3. After you answer the question, you will be taken to a 'Bonus' screen where you have options to improve your chances of winning. Actions such as liking a Facebook Page or tweeting about the giveaway are not essential to participate in the contest, but will increase your number of entries in the contest. You can choose any number of actions. The name of the winner will be published here, and they will also be contacted by email. If there is no response within 48 hours, a new winner will be chosen. The prize can be claimed at the Big On Children store, Level 2, Dubai Mall. The prize is valid until March 20, 2014. The winner will be announced on January 21, 2014. Good luck! The product was provided to me for the purpose of review, but all opinions are my own. This is not a paid post.